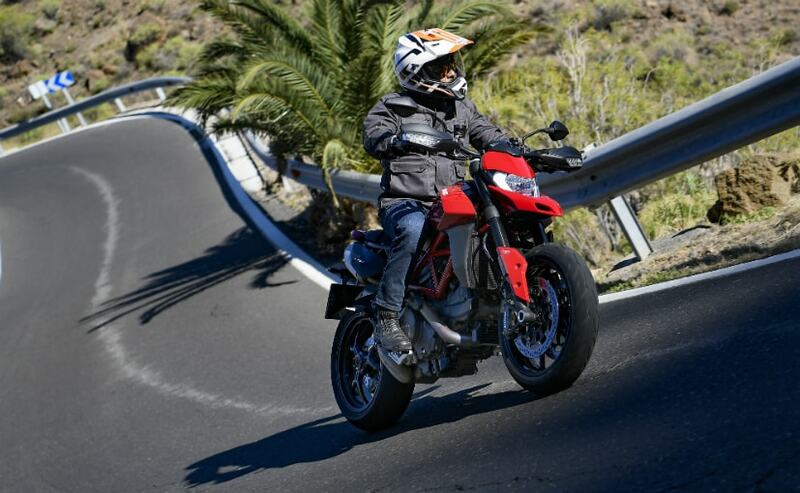 We ride the new Ducati Hypermotard 950 and the Hypermotard 950 SP in Gran Canaria, in Spain. The Ducati Hypermotard has always had a considerable fan following across the world, and is considered a fun, hooligan motorcycle from Ducati. The Hypermotard is a supermoto, with ergonomics and chassis of a dirt bike, but with the performance and soul of a sportbike. 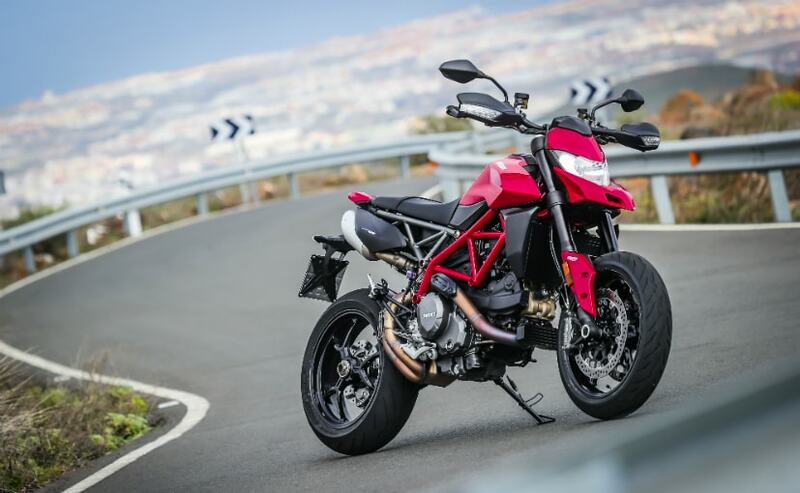 In India though, the Ducati Hypermotard hasn't enjoyed the popularity and success of its siblings, like the Ducati Scrambler, Ducati Monster 821 and even the Multistrada range. For 2019, the Ducati Hypermotard 950 replaces the Hypermotard 939, and is in fact, an all-new motorcycle, with a new engine, new chassis and suspension and updated electronics package. 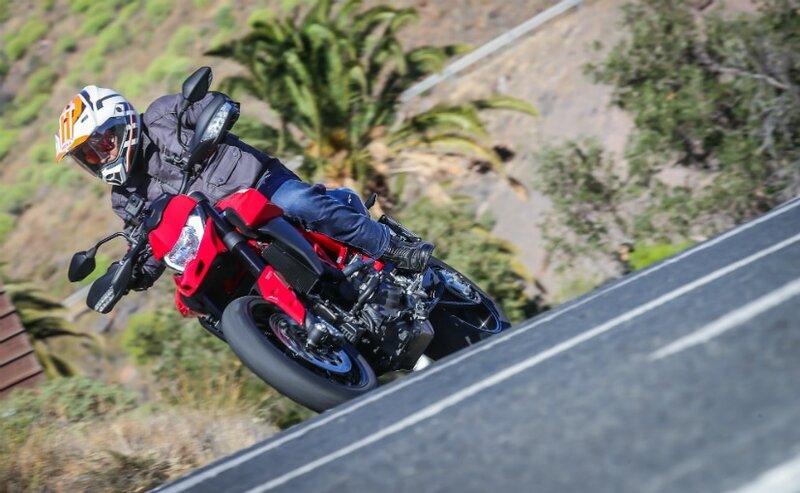 We spent a day riding the Ducati Hypermotard 950 SP on a small track and the standard Ducati Hypermotard 950 along some twisty mountain roads in Spain's Gran Canaria island off the northwestern coast of Africa. 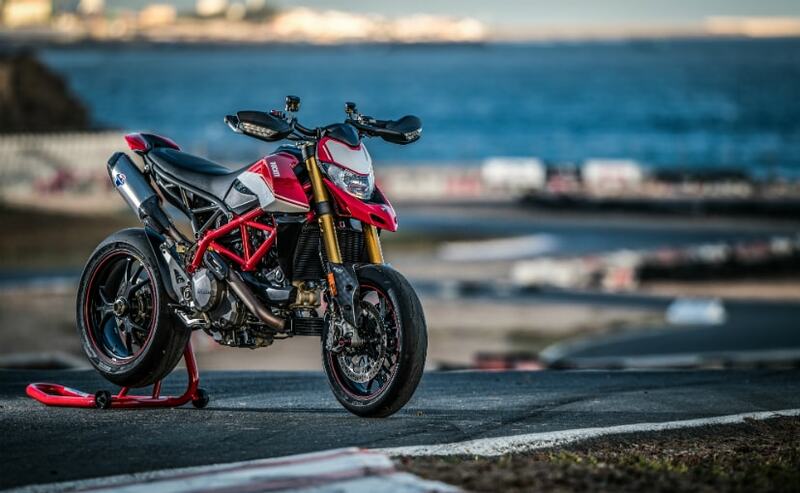 The Hypermotard 950 isn't just a revised or upgraded 939, with an all-new 937 cc Testastretta L-twin engine which gets new pistons with a higher compression ratio, new exhaust cam profile, new 53 mm throttle bodies and new engine mapping. The magnesium cylinder heads reduces weight by 1.5 kg, and the L-twin puts out 114 bhp at 9,000 rpm and 96 Nm of peak torque kicking in at 7,250 rpm. But it's more about how the torque is spread out - 82 per cent of the torque is available at 3,000 rpm and 88 per cent of torque is available from 5,000 to 9,500 revs. The result is that it's got a lot of pulling power, right from small throttle inputs and all the way to the redline. The Hypermotard has an upright riding position, and is available in two variants - the standard Hypermotard 950 and the top-shelf Hypermotard 950 SP with Ohlins suspension, lighter Marchesini forged wheels and a standard up/down quickshifter. The Hypermotard 950 tips the scales with 200 kg kerb weight and also gets a fully adjustable Marzocchi front fork and Sachs rear monoshock. The SP variant gets a taller seat height, more suspension travel, and is lighter by 2 kg at 198 kg kerb weight. There's also a completely new set of electronics, with a six-axis IMU that offers cornering ABS, slide by brake, as well as wheelie control. We started the day on the outskirts of Las Palmas around the small Maspalomas go-kart track, testing the Hypermotard 950 SP. The main difference between the standard Hypermotard 950 and the 950 SP is in the suspension, wheels, tyres and seat height. The Ohlins front fork is fully adjustable and has 15 mm more travel than the Marzocchi fork on the standard Hypermotard 950. The Marchesini forged wheels are lighter and are shod with sticky Pirelli Super Corsa rubber, just the right grip for track use. 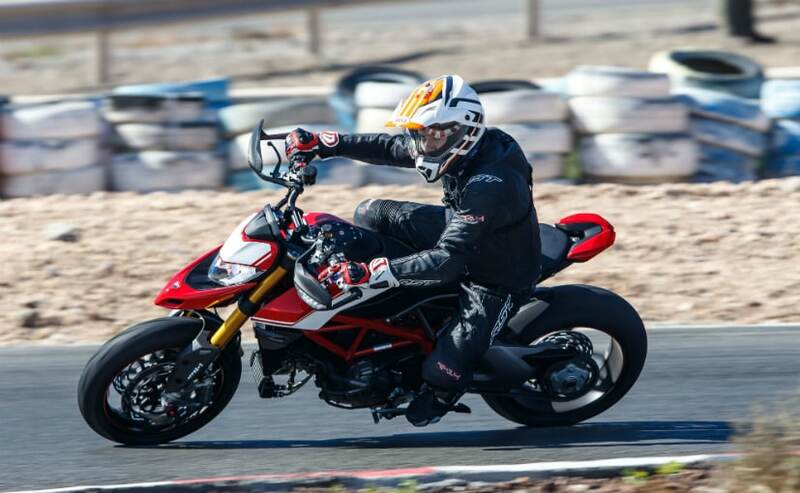 The Ducati Hypermotard is known for its hooligan personality and experienced riders explored its full potential on the track - sliding around corners, carrying wheelies over the straight sections and sometimes even across the chicanes on the tight, technical track. For me, it was a different experience altogether. It was my first time riding a supermotard, and the upright riding position and tall seat height on a racetrack doesn't come naturally, especially when it comes to taking on a tight corner. Just to put things in perspective - the Triumph Tiger 800 XCx has a seat height of 860 mm on its tallest setting, and the Hypermotard 950 SP has a seat height of 890 mm! And to make things worse, I started the first session on the track in Touring mode; not ideal around a fast, tight track, where you need to go fast, brake hard and accelerate fast coming off a tight corner. 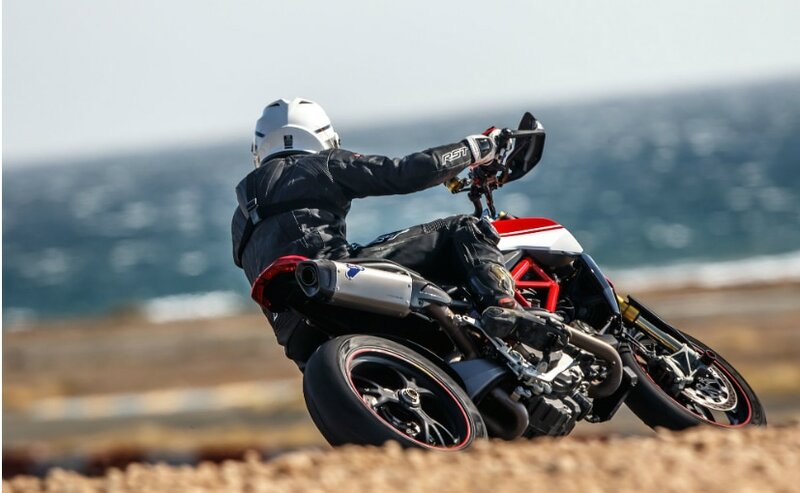 Both the Hypermotard 950 and 950 SP share the same electronics package, so there's a good enough safety net - cornering ABS (with slide by brake), traction control, and wheelie control, all powered by a six-axis inertial measurement unit (IMU). The SP also gets a standard up/down quickshifter, which works like a dream, and makes you forget about the clutch lever in no time! But my mind was not on the electronics - it was to get the bike safe home after the first session. In the next two track sessions, I got more adventurous and started playing with the riding modes and various individual parameters of traction control and ABS. If it's one grouse I have, it's the controls for the riding modes and individual parameters - they aren't intuitive and takes time, at least for me, to get used to. And I struggled to change the settings on the fly, and even with the bike parked on the pits, had to seek out help to get the settings I needed. But once in Sport mode, things started looking up, and I started enjoying the Hypermotard 950 SP, though my pace was still the slowest in my group around the track. 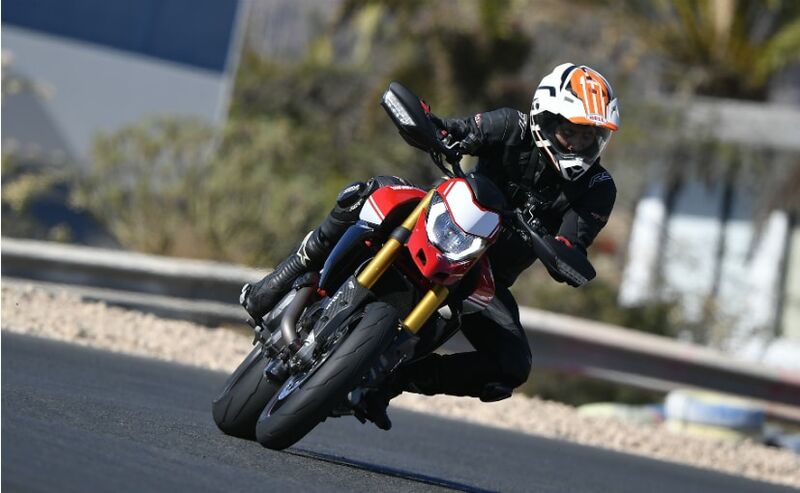 With 198 kg kerb weight, a tall riding position and seat height, and 114 horsepower on tap, to me, the Hypermotard SP around the small track felt even more mental than the Panigale V4! It certainly is overwhelming, but by the time I begun to get comfortable with the bike, our short three sessions were almost over and the chequered flag came out. Oh well, time to pit, have a quick lunch and head out into the mountains with the 950 then. The afternoon was spent riding the standard Ducati Hypermotard 950 on a loop inland into the mountains - around 130 km of it, through narrow and tight twisty roads, with a short highway blast thrown in as well. I started the ride in Sport mode, and what was a revelation on track, turned out to be too aggressive and snatchy for road use. After the first 20 km or so, I switched over to Touring mode, and the toned down throttle response was a welcome relief. The torquey engine requires few downshifts and the motor pulls cleanly at higher gears from low speeds with a quite likeable burble from the L-twin engine. In gear acceleration is very enjoyable, and hitting a twisty mountain road on the Hypermotard 950 makes it quite a thrilling outing. After you adapt to the dirt bike like riding position, and sit up front, it's easy to dip it in and out of a set of corners and is quite entertaining! 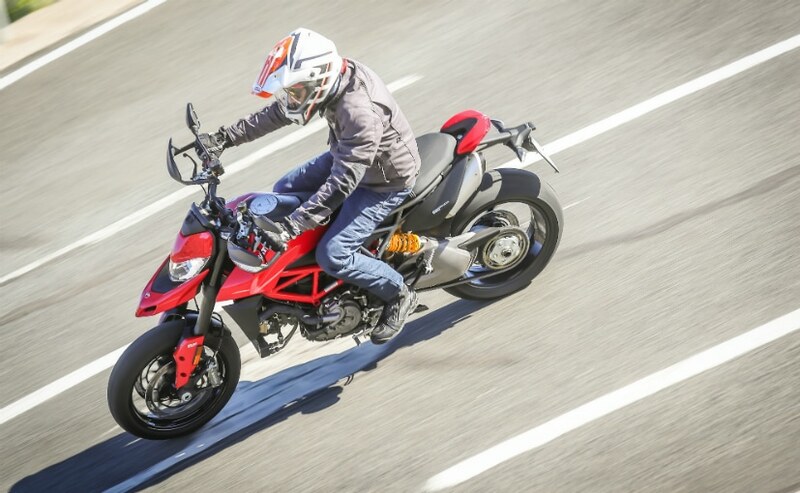 The Hypermotard 950 is no touring machine and unlike the 2015 Hyperstrada, the touring variant with panniers and all, there are no optional panniers available for the 2019 Ducati Hypermotard 950. 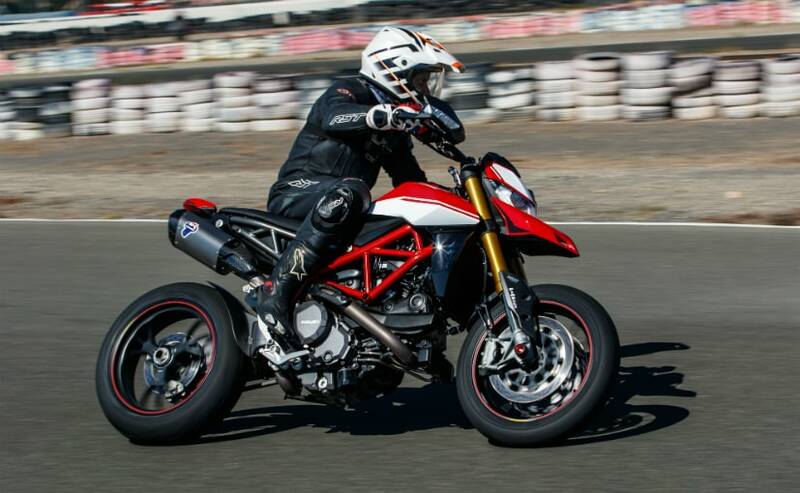 So, the new Hypermotard is primarily a dedicated street and track bike, for daily use and the occasional weekend ride. Yes, you can certainly go some distance with it, and on the highway section, we easily crossed 150 kmph, but staying at high triple digit speeds will be a task with the wind blast getting to you. And on particularly windy sections in the canyons, the strong cross winds from the Atlantic also made it slightly uncomfortable. The 2019 Ducati Hypermotard 950 has a focussed purpose. It's meant to be ridden by the rider with more experience, and to have fun on two wheels, sometimes bordering on the dangerous, but definitely on the thrilling side of motorcycling. If that's the kind of riding you do, and want a primarily city oriented motorcycle, the Hypermotard 950 can be a lot of fun, even as an everyday bike. But from an Indian perspective, it's best to have the Hypermotard 950 as a secondary motorcycle, rather than use it as a do-it-all motorbike. The tall seat height may be a sore point while tackling bumper to bumper traffic on the daily commute as well. 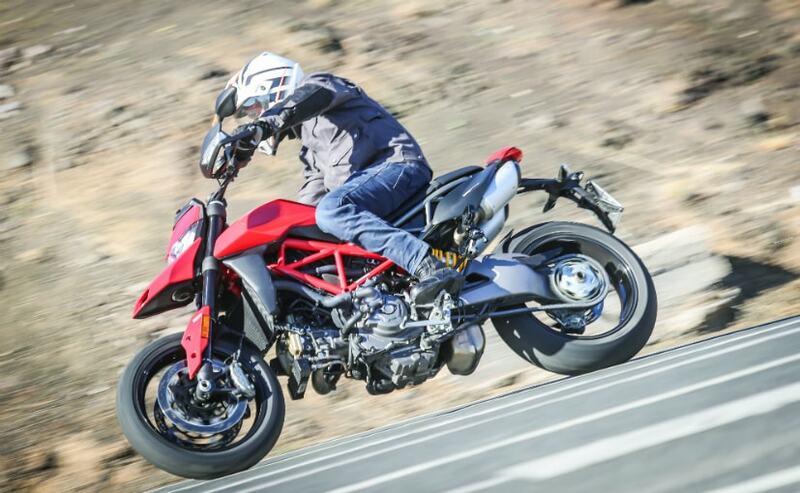 But most of all, the Ducati Hypermotard 950 is a niche motorcycle, with a very specific purpose and intent. In India, the standard Ducati Hypermotard 950 will be brought in from Thailand, and it's expected to be priced between ₹ 12-13 lakh (ex-showroom). That's not exactly affordable, if you're looking at it as a second bike, and the more sport-oriented Hypermotard 950 SP will be a full import from Bologna, so expect prices to be closer to ₹ 20 lakh (ex-showroom). The prices and the focussed character of the motorcycle is what makes the Hypermotard 950 a niche and uncommon package, and that could mean only one thing - it may not be as popular as its other siblings, at least in India.